There are so many different ways to get your fitness in these days. With all the options out there, it can almost be so overwhelming that you fail to begin. Each person has different fitness goals and responds to different methods in their own way. Just like your eating habits, you have to try everything out and find the best option for your optimal fitness and health. Today, I want to focus on the topic of personal training. Many people ask me “What is Crossfit?” When I answer the question, often I find myself offering comparisons to personal training. Personal training might be the ultimate option when you are looking to get fit. That is: IF you find the right trainer, IF they give you all the right exercises, IF you can make yourself accountable 100% to attendance, and IF you can afford it. With Crossfit, our class size ranges between two to six people. You still receive personal attention from a certified coach. There is a prescribed workout of the day (WOD) so you donʼt have to come up with it yourself. The coach will teach form and mechanics and help you determine how you will perform the workout, if you require scaling. We also discuss nutrition options to find the right solution for the results you desire and your lifestyle. You get everything you might receive if you find the right personal trainer, and more. *NOTE: Not all personal trainers are created equal. I paid $30 a session (30 minutes) to have some guy run me through workouts while he texted on his cell phone. Iʼve also been victim to the revolving door of trainers that come through a globogym. Donʼt get me wrong, there are some good ones out there, folks. However, the really good trainers are hard to come by and very expensive. If youʼve got the funds, have at it! Iʼve run the gamut from globogyms, to personal training, and then bootcamp before I found Crossfit. What I found out about myself through that progression was that for some reason it just isnʼt good enough to be accountable to myself. I needed that extra push from outsiders. I needed to hear, “just come back in, give it five minutes, and if you donʼt want to continue, then go”. After I stepped foot back into the box, after five minutes, I never quit and I always stayed. I owe those times to my coaches and fellow athletes. Crossfit is a positive, encouraging, fun atmosphere of people who are looking to get fit and get better. We look to spend time together in and out of the box. We care about and celebrate birthdays and important life events. When you travel, you can find a CrossFit box basically anywhere in the world. Most will welcome you with open arms, which for the weary traveler makes your hotel room and the unfamiliar city feel a little more like home. You can also get your WOD in no matter where you are. We love our drop-ins. We love hearing about their lives, their hometown box, and the feedback they provide on ours. You meet so many people through Crossfit and it has so many benefits that enhance your workout and your time outside of the box if you want it to. They say that you should push yourself to be better than the person you were yesterday. With Crossfit you always strive to beat your last time or your heaviest weight – the focus is on continuous improvement. For some people, racing against yourself isnʼt always enough. Competition with others drives you. Not only do you want to beat your last best time, but you want to be Joe or Jane next to you, too! During class you typically have someone to compete against. An external measuring stick that keeps you going and pushes you harder than you can on your own. Itʼs fun to establish that camaraderie and Ic an attest first hand, that it has taken me past plateaus I never thought Iʼd surpass. A personal training session can range anywhere from $35-$50+ per session depending on the trainer, location, and ego (I kid, sort of). With Crossfit, youʼre getting all of the points above for around $10-$25 per session, depending on the type of membership you choose and how often you attend. Personal training is expensive and limited. Most Crossfit memberships give you unlimited classes per month, with multiple times to choose from each day, often times an hour. With a personal trainer, most times youʼre meeting with him/her once a week at a specific time for 20-30 minutes (or twice depending on how deep your pockets are) and thatʼs it – good luck to you the rest of the week! The bottom line is that if you are making a financial investment in your fitness, make sure itʼs the right one for you! Regardless of if you make a financial investment in your fitness or not, you should be good to yourself, your families if you have them, or your future family if you plan to have one and be active. Whether you choose to try Crossfit or not, just remember that nothing matters more than being well. If youʼre unhealthy you canʼt do the things you enjoy. 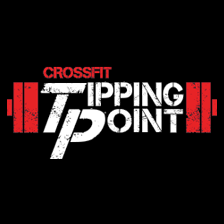 We welcome the opportunity to show you the benefits of Crossfit with a free workout at Crossfit Tipping Point. Come give us, our athletes, and our box a try.